Councilor Lisle Baker was elected President Emeritus in 2010, 2012, 2014, 2016, and again in 2018 after being Council President for three prior terms. Part of Lisle's work has been communicating with citizens. For example, NewTV gave its 2009 award for Producer of the Year to Lisle, then president of the City Council, for his multiple segments of 'Aldermen at Work' (now Councilors at Work), broadcast on the government channel of NewTV. The series, which also won the Newton TV award for Best Government Series in 2011 and again in 2015. The series involves his interviews as Board president, and then as Council President Emeritus, with colleagues on the Board and from other aspects of Newton government to help make the work of the Council and those who advise it more understandable to Newton Citizens. In 2019, Lisle is completing his 36th year of service on the City Council as the Ward Councilor for Ward 7. 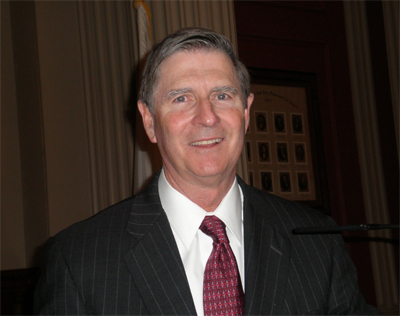 Lisle currently serves as a member of the Zoning and Planning Committee, where he has worked to strengthen and simplify Newton's zoning ordinances, and as a member of the Programs and Services Committee, which has jurisdiction on such matters as Schools, Recreation, and the Library, and where he has chaired the sub-committee on the Council's Rules. Over the years, he has worked on many problems, whether it's keeping cars off the street and out of the neighborhoods on BC football game days through special football parking restrictions, or saving open space from development, as when he used a betterment assessment on abutting properties to help the City buy self-supporting Newton Commonwealth Golf Course, helping fund the preservation of the Historic Durant-Kenrick Homestead, the Waban Hill reservoir, or advocating for needed funding and improvements in our public schools. Also, as a ward councilor, Lisle also is active in constituent service, responding to citizens with specific concerns, whether it is a broken street light, a stop sign for a crosswalk, or even getting a manhole cover adjusted so a resident can sleep better at night. For more information, please see Lisle's Constituent Service page.